Letters for Emily - Audiobook (abridged) | Listen Instantly! You are so young. You may wonder what an old man like me could teach? I wonder as well. I certainly don't claim to know all the answers. I'm barely figuring out the questions....Life has a strange way of repeating itself and I want my experience to help you. I want to make a difference. My hope is that you'll consider my words and remember my heart. But Harry's poems contain much more than meets the eye....As Emily and her family discover, intricate messages are hidden in them, clues and riddles which lead to an extraordinary cache of letters, and even a promise of hidden gold. Are they the ramblings of a man losing touch with reality? Or has Harry given them a gift more valuable than any of them could have guessed? As Harry's secrets are uncovered one by one, his family learns about romance, compassion, and hope -- and together they set out to search for something priceless, a shining prize to treasure forever. 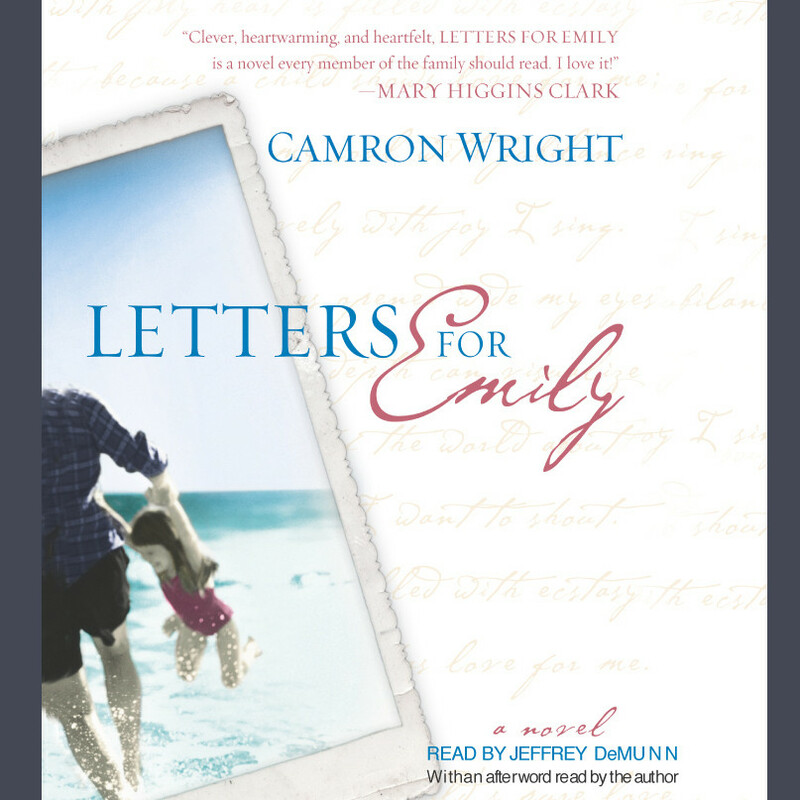 They may grow closer in spirit or be torn apart by greed...but their lives will be undeniably altered by Harry's words in his letters for Emily. Download and start listening now! Camron Wright earned a master’s degree in writing and public relations. He began writing to get out of attending MBA school, and it proved the better decision. He is the bestselling author of The Rent Collector, The Orphan Keeper, and Letters for Emily.